A year ago I was chatting to a friend about salamanders. She mentioned a conference she had attended where a group of Mexican nuns entered the room to join in with the conversation about amphibian conservation. 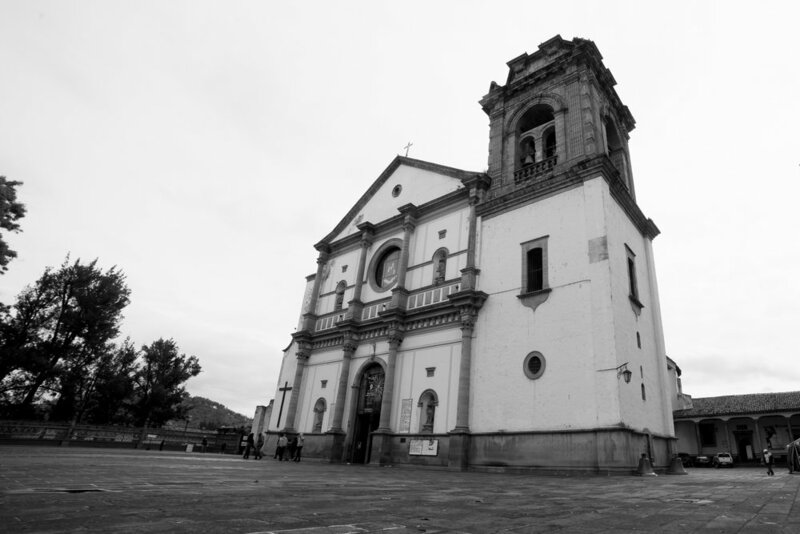 A year later I found myself knocking on their convent door in the small town of Pátzcuaro, a few hours outside of Mexico City. The quest to find these nuns and tell their story has introduced me to an incredible group of animals. 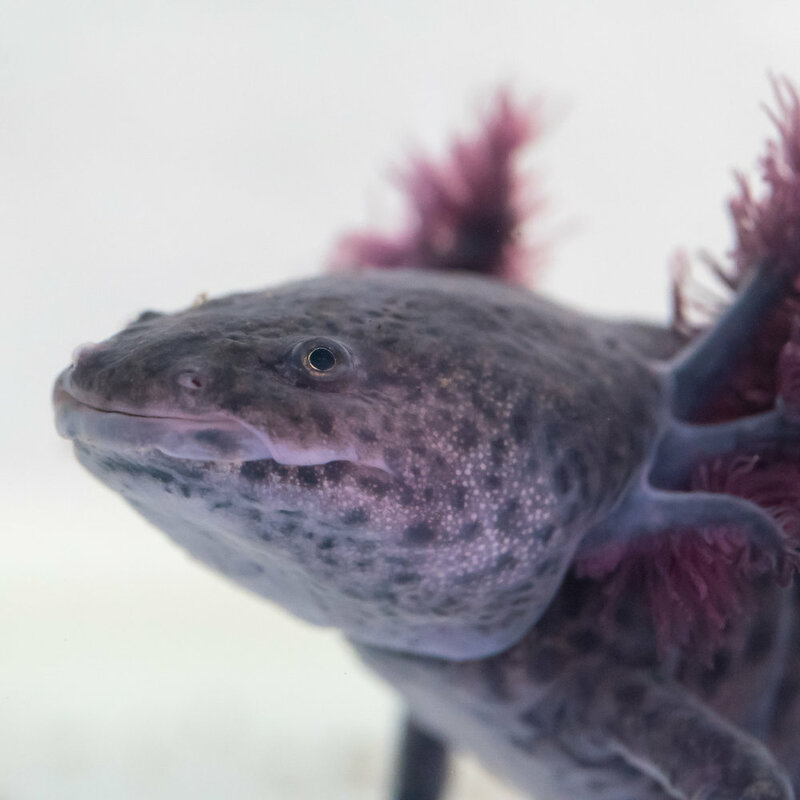 Axolotls are really fascinating not only due to their developmental biology, but also their ecology and cultural significance. Salamanders, like most amphibians, have two life stages. 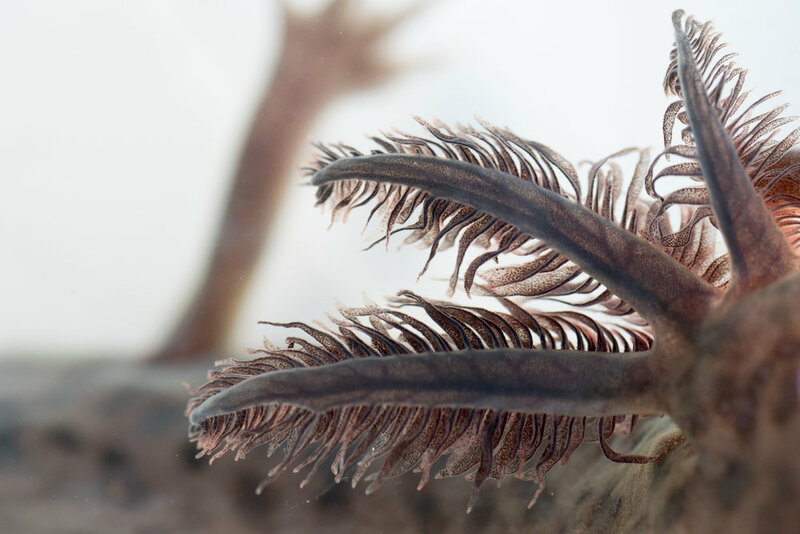 Beginning with a larval stage where the animal lives underwater and breathes through gills, they then metamorphose into adult animals with lungs that live on land. 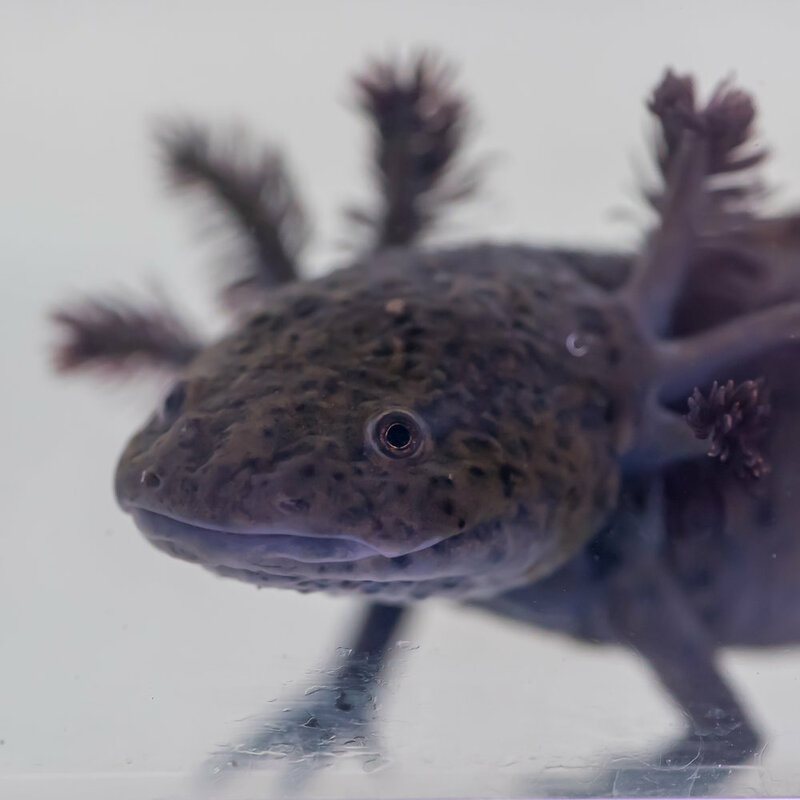 Some species of the genus Ambystoma, however, have evolved to mature into adults while retaining larval aquatic characteristics. This is called neoteny. Imagine if tadpoles could mate with other tadpoles to produce more tadpoles, and never become frogs. That is the equivalent of what happens with these salamanders. In most salamanders the bi-phasic life cycle allows them to disperse overland to new ponds or lakes. 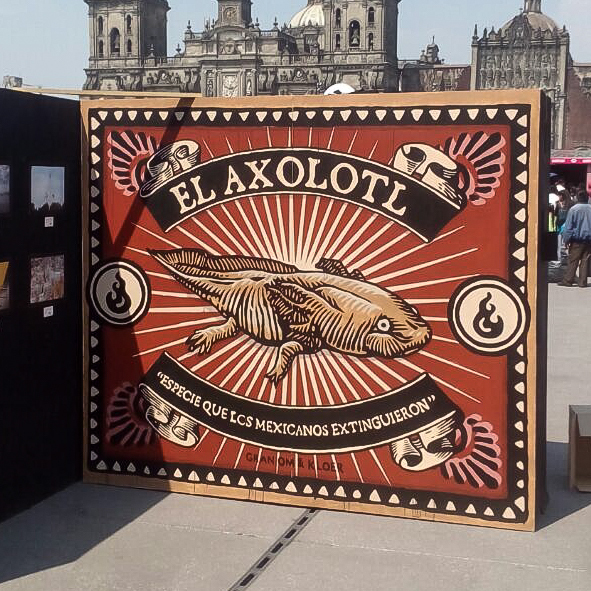 Axolotls are native to high altitude lakes in the Valley of Mexico. 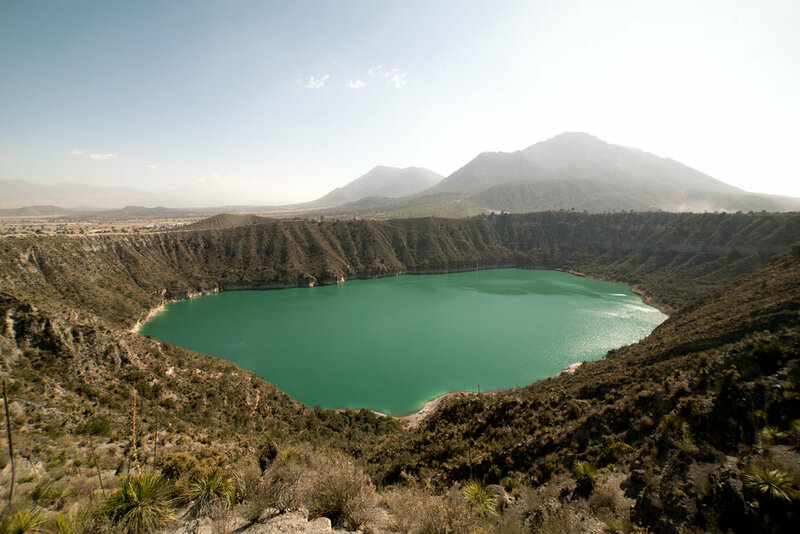 It is thought that they evolved to remain aquatic because climatic change dried out the land between these lakes, so terrestrial adult salamanders could no longer survive in the desert between water bodies. 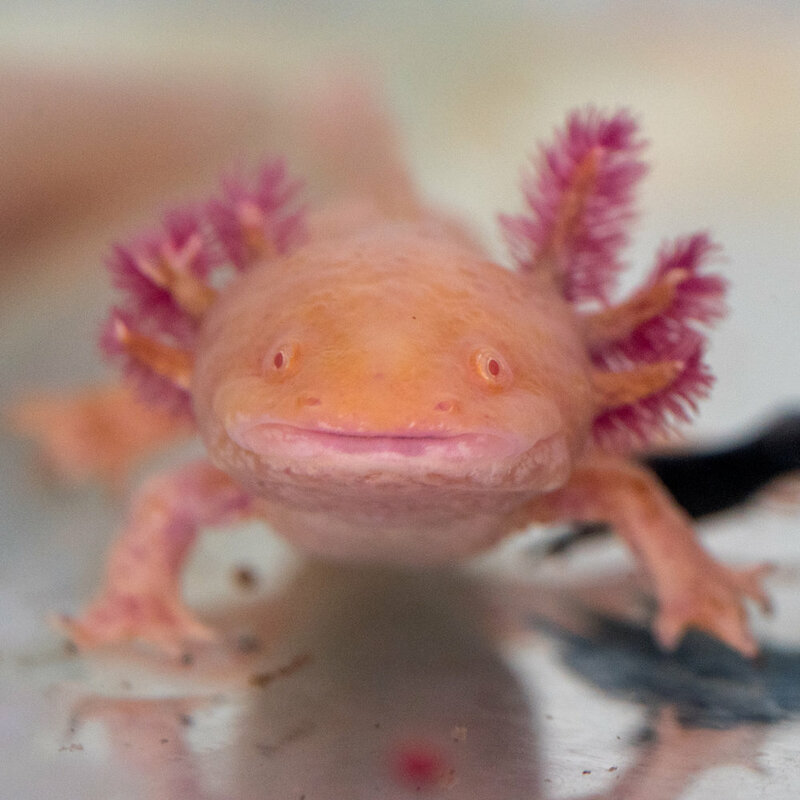 Many axolotl species adopt this unusual neotenic lifecycle, but stress (overcrowding or being removed from water) can cause them to metamorphose into terrestrial adults. 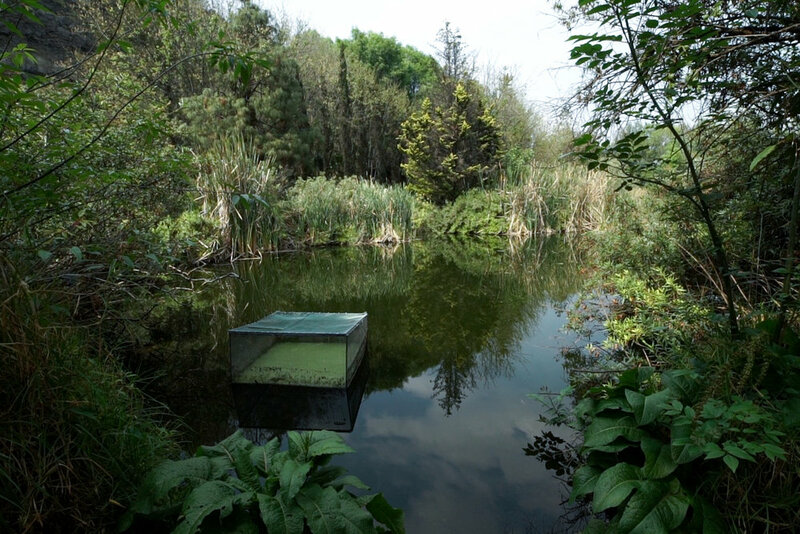 If life in your current lake is threatened, it might be worth risking life on land to find a new one. So what does this have to do with nuns? Well firstly, several species are very close to extinction. 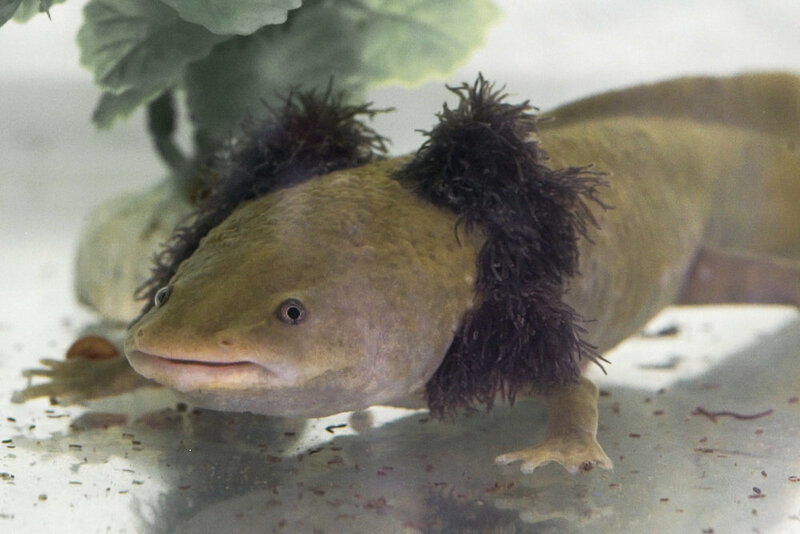 One particular species is endemic to lake Pátzcuaro (Ambystoma dumerilii, known locally as "achoque") and was traditionally harvested for cough medicine. The nuns of the Basilica de Nuestra Señora de la Salud, on realising that the achoque were becoming very hard to find in the lake, made the decision to try and breed them within the convent, for the continued health of the community. They converted part of the convent to an aquarium and spent years perfecting the conditions for these salamanders. They now have the most healthy captive population of axolotls that I have ever seen, and have hundreds of animals. 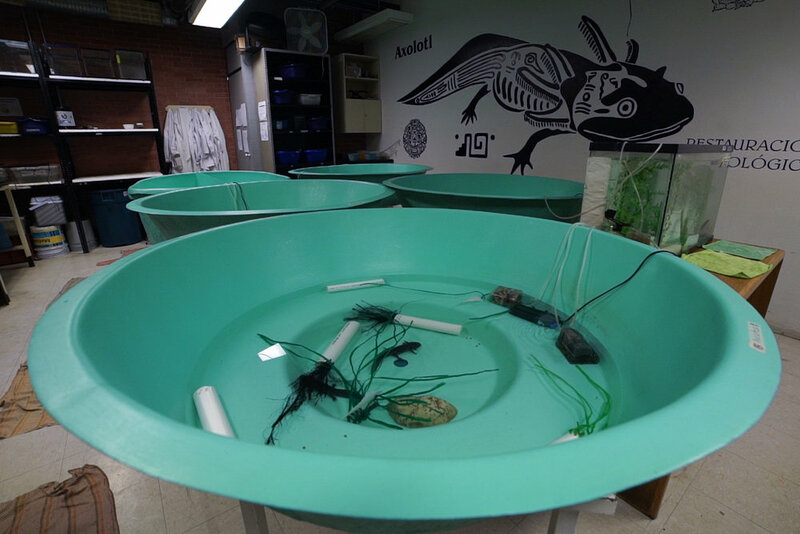 They are even working with Mexican scientists to do genetic diversity studies and have published a book on the technical findings of their breeding facility. 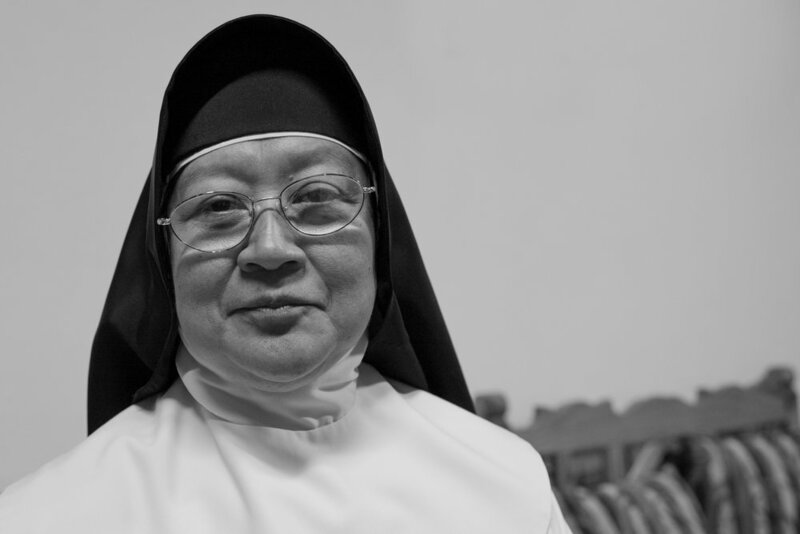 I met with Sor Ofélia, head salamander breeder, and she was quite an incredible human being. A nun since the age of 16 and working with these amphibians since 2000, she still knows individuals by name. Unfortunately I was not able to film their amazing story, but being there was a true privilege and I am very grateful for the bizarre and wonderful experiences my work blesses me with. 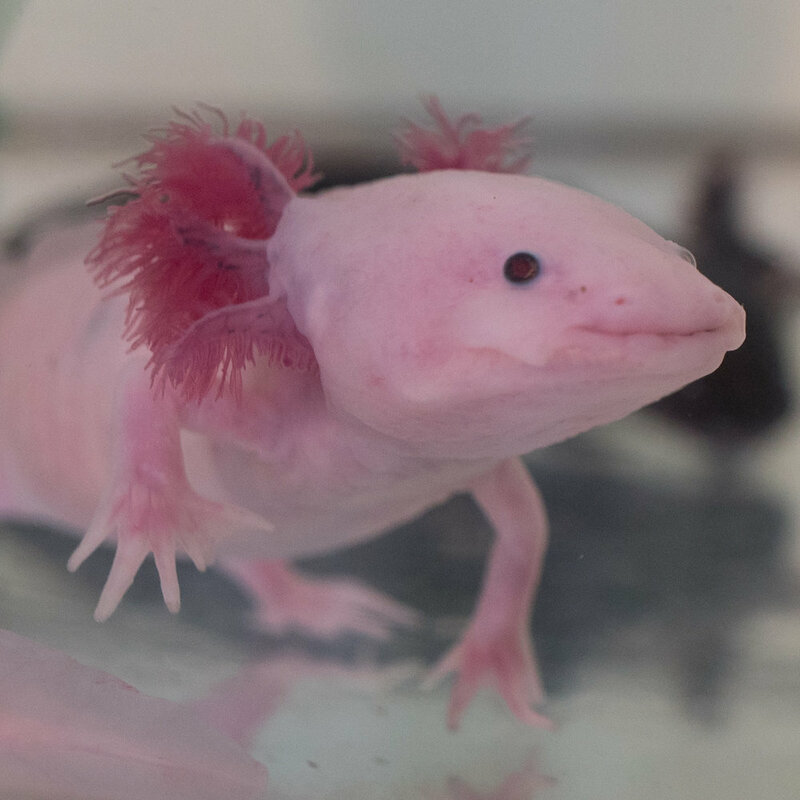 On my travels I met a number of other scientists and conservationists working to protect axolotls. 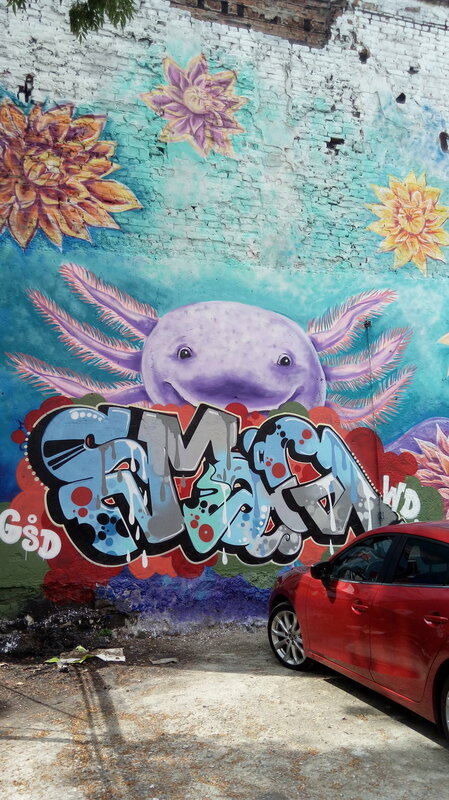 Ambystoma mexicanum, which many people are familiar with due to its prevalence in the pet trade, is endemic to the southern part of Mexico City. 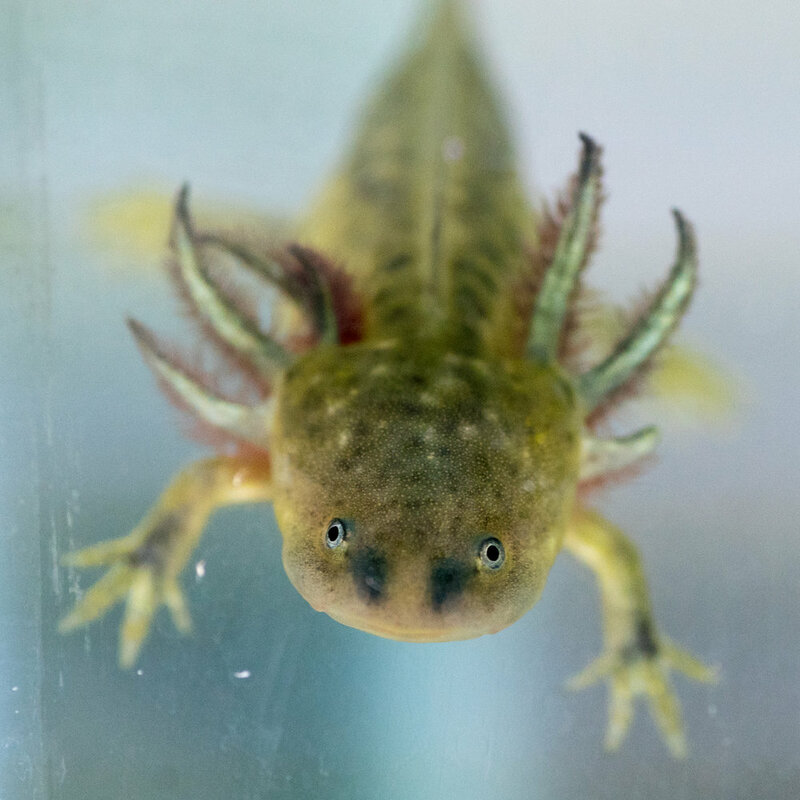 It has been bred in captivity for many years and is an important study species in labs because of its ability to regrow tissue, not just limbs like other salamanders, but even organ cells including the brain! Despite being found all over the world in aquaria, it is nearly extinct in the wild. A 1998 study found 6000 individuals per square kilometre, by 2015 their population was thought to be as low as 35 per km2. So why can’t we just continue breeding them in captivity and release them back into the wild? Well the main reason they have become so scarce is due to pollution. 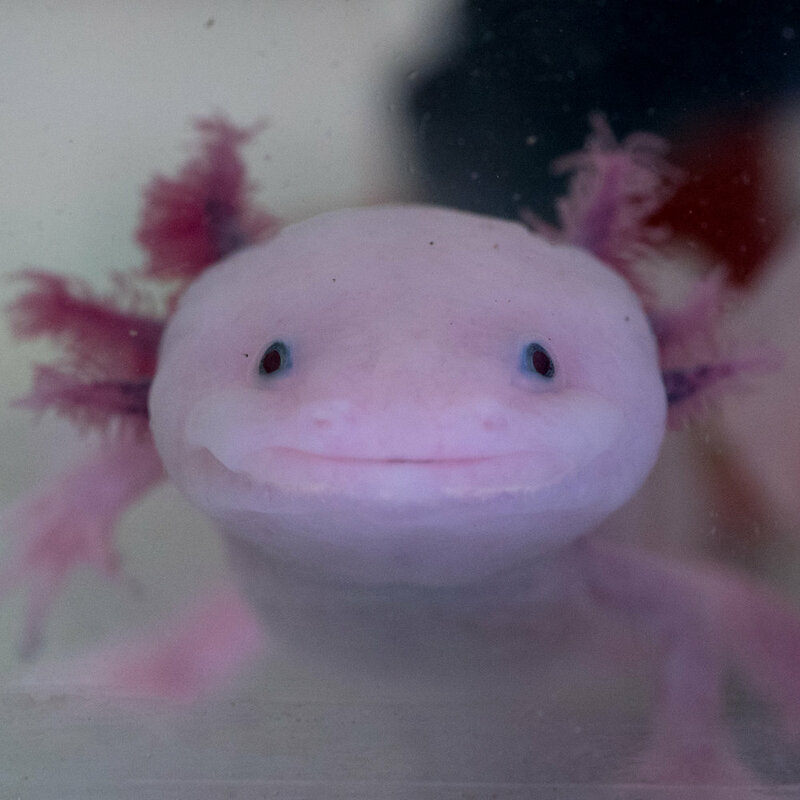 These axolotls live in the waterways of Mexico City’s chinampa fields (a traditional farming technique begun by the Axtecs). While it’s fascinating to get off the metro in one of the worlds biggest cities and find wild endangered amphibians, they are suffering the consequences of rapid urban growth. 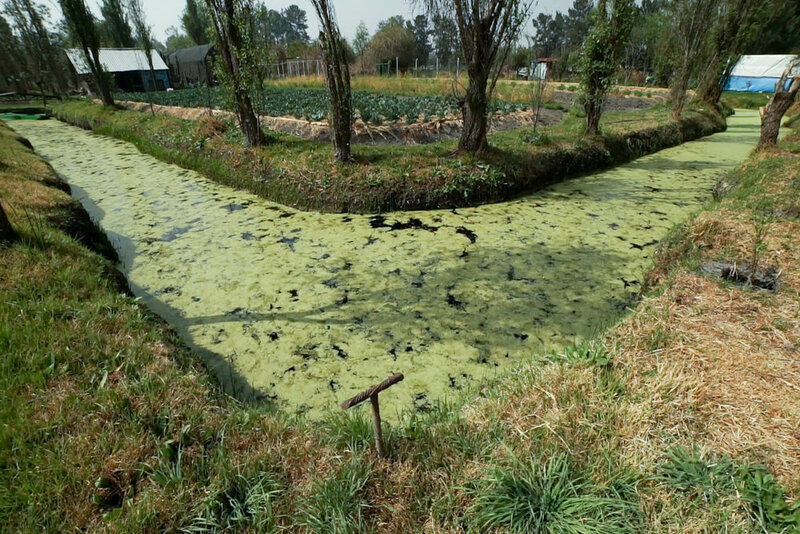 Scientist Luis Zambrano of the Universidad Nacional Autónoma de México (UNAM) says that individuals released into this region (Xochimilco) would likely not survive, and attempting to do so could skew the genetics of the wild population with traits picked up over generations in captivity. 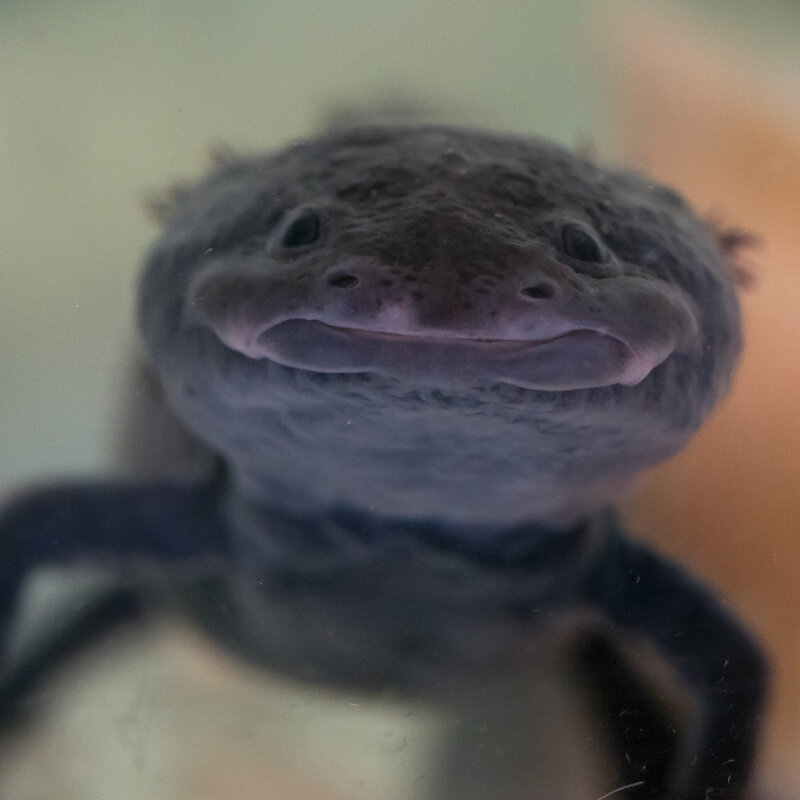 All this time I had still only been able to film axolotls in captivity. But thanks to a chance introduction I was able to travel into the field and follow herpetologist Alfredo Díaz monitoring another species: Abystoma taylori. 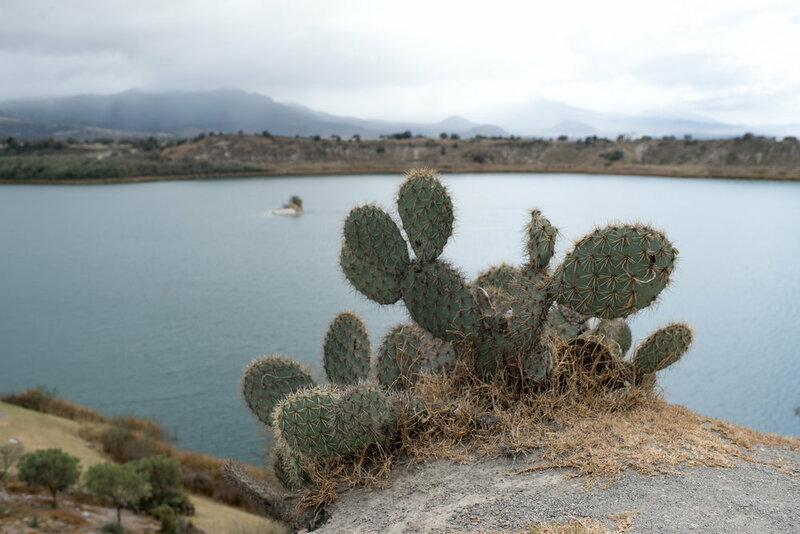 These animals are a particularly incredible as they are endemic to a saline crater lake name Alchichica. They are, as far as I know, the only amphibian to live permanently in salt water. What’s more, they have been found up to 30 meters below the surface of the water! There is very little existing footage of these animals and so filming them swimming around these strange stromatolite rock formations was a real privilege. They really are little dragons. I’m always blown away by the hospitality I receive in Mexico and this trip was no exception. Manuel González and his wife Karen, Luis Zambrano, Sor Ofelia, Felipe Barrera Aguirre and Alfredo Díaz and his wife Carmen, all went out of their way to help me in any way they could and I am extremely grateful for that. I’m hoping to continue telling this story as research continues, I've kind of got hooked on these creatures.